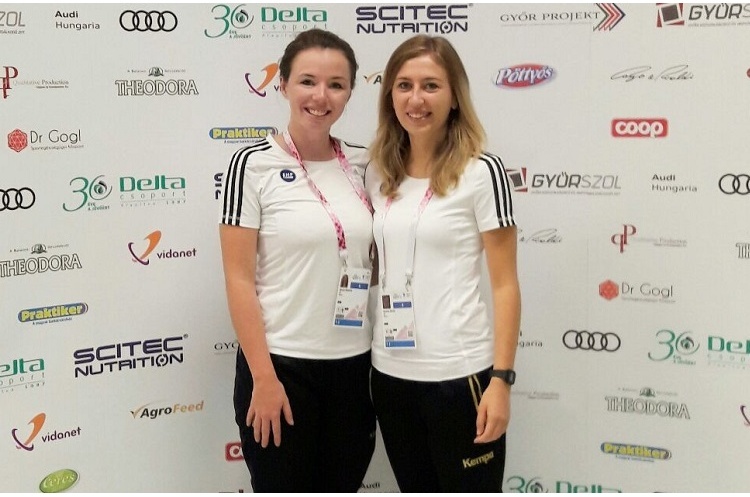 British Referees Alysha Martin and Andrea Hesse travelled to Gyor, Hungary to officiate in the European Youth Olympic Festival as part of the EHF Young Referee Programme. The tournament was contested between the best eight youth teams in Europe. The pair oversaw five games involving the girl’s national teams from Norway, Denmark, Montenegro, France, the Netherlands, Romania, and hosts Hungary. Reflecting on their experience Alysha and Andrea said: “The European Youth Olympics gave us a new challenge we had never faced before. “To be able to referee games involving teams on the level we did and also to be able to do the Hungary match in front of a large home crowd was an incredible experience for us.